Set in the chthonic landscapes and the inescapable darkness of the wilderness in 7th Century Europe, Beowulf is still read and appreciated all over the world for its brilliant art of storytelling. The numerous translations to Modern English from Anglo-Saxon reveal its immortality and perpetual glory in the mastery of poetic storytelling, powerful imagery and spell bounding events that take place in the life of the hero, Beowulf. Beowulf survives to this day in its final manuscript written in Anglo Saxon. The corners of the pages have worn off and the ink has faded away, but the story which once kept vast audiences aghast during the time period from 7th to 11th Century England is still vastly read and appreciated in the modern day. Beowulf reveals a lot of significant factors about the art of storytelling in Old England and their appreciation of literature. The 3182 lines of the poem tell how Beowulf, a warrior of the Geats, arrives in a Scandinavian kingdom to defend a monster who has become a deathly threat bringing uncontrollable fear to the living. Beowulf slays the monster, Grendel and brings peace and harmony to a land, which was once stricken with fear of death. After slaying two monsters, Grendel and his mother, Beowulf returns to his homeland victorious and is crowned king. Fifty years later, Beowulf encounters a dragon, defeats it but is fatally injured in the battle and dies. 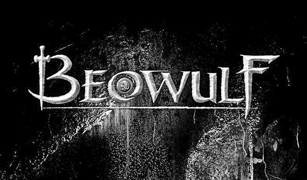 The flow of storytelling in the poetic format is a salient feature in ‘Beowulf’. It is the poetic inflow of words, imagery and characterisation which enable a powerful sequence of events to be visualised by the readers. The potency of poetry to bring out the bravery and strength of the hero along with the poetic language, which lets the reader witness the events more effectively, bring out glory to the name of Beowulf. It is glory and fame which pervades the poem. If the story was written in prose, the success of attaining glorification of the hero would evidently be narrow. Beowulf was probably written to be performed. The writer of ‘Beowulf’ is unknown to this day and is referred by historians and scholars as the ‘Beowulf Poet’. He has evidently known how well the story would be received by the audience. He has presented the audience a story on bravery and the supernatural with a final universal message on death (the death of Beowulf at the end of the poem). Performed to the audience with a genuine art of storytelling, creating emphasise where events get bitter and dark and softening the tone when the hero meets his own death would keep the audience cheering at the performance. Some believe that before writing down Beowulf in a manuscript it was performed by its creator to the audience. But a story which appears to have employed real settings (the story is set in the ancient land of Scandinavia) and continuous references to religion and ruling powers of kings could have taken a lot of effort than mere spontaneous storytelling ignited at once in the mind of its creator. The ‘Beowulf Poet’ probably had to find facts about the ancient roots of the English, tracing their ancient English ancestry to the countries of origin. The setting of the story in Denmark and Scandinavia shows that the English clung to the past, to their origins. The poet places a monster; the undefeatable force to create a sense of suspense and fear towards the existence of the supernatural. Even the supernatural might have felt real to the common man in Old England because the late 10th century England was heavily unpopulated, with people living among the wilderness of their natural surroundings. Although many refer to the creator of Beowulf as the ‘Beowulf Poet’, there is doubt whether this is the creation of one poet or many. From lines 1070 to 1158 the story shifts from Beowulf’s slaying of Grendel to that of the story of a Danish royal family who fights a dragon. One could argue that several poets contributed with different stories to create the one final draft of the poem. The poem could be divided into three main quests, Beowulf slaying Grendel, Beowulf slaying Grendel’s mother and the Death of Beowulf. When comparing the art of writing these different quests one could clearly see the shifts in language and the art of storytelling. But one thing is certain, the poets or the single poet wanted to glorify the human victories in slaying away the supernatural, to create a sense of gratitude towards God and to convey about that final destination even the hero has to walk towards; death. God is praised continuously, which shows the need for the ‘Beowulf poet’ to direct his readers towards religious faith while removing pagan worshiping from their lives. The underlying truth is that during the time Beowulf was written there were conflicting ideas in the common man whether to choose Christianity over the Pagan faith to which they were introduced first. I would prefer to reside with the fact that the ‘Beowulf Poet’ was a Christian monk or an adherent of the faith in God. The poem might have been recited at Christian monasteries to entertain the public as well as to create faith in the Christian God. Beowulf is still widely read and studied all over the world. The most renowned translations into Modern English are by the Nobel Laureate Seamus Heaney and the author of the famous Lord of the Rings Trilogy, J.R.R. Tolkien. 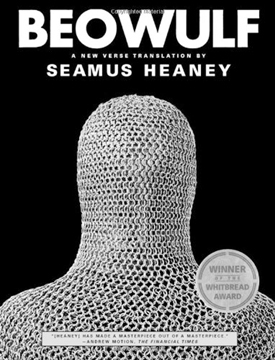 Heaney’s version does a lot of justice to the original Anglo Saxon manuscript and enables an average English reader to grasp the details very well. But reading Tolkien’s translation is much more difficult because of the streaks of highly flourished language he uses while changing the order of words in each line. The following comparison from Heaney’s translation and Tolkien’s will make the reader understand the simplicity with which Heaney tries to bring a more modern English approach to a poem written centuries ago. To this day Beowulf survives to inspire and entertain its readers with its magical creatures, exciting journeys and stories about dragon slaying. No matter how magical the story is or the fantasies it generates, the slight touches of truth and reality show that man has always been aware of the need to escape into a world full of fantasy, only to return from it with more discoveries on life. Produced by Lake House Copyright © 2016 The Associated Newspapers of Ceylon Ltd.